J. H. Basedow (educational theorist, reformer; 1724-1790 *), Ueberzeugende Methode der ... angewendeten Arithmetik. 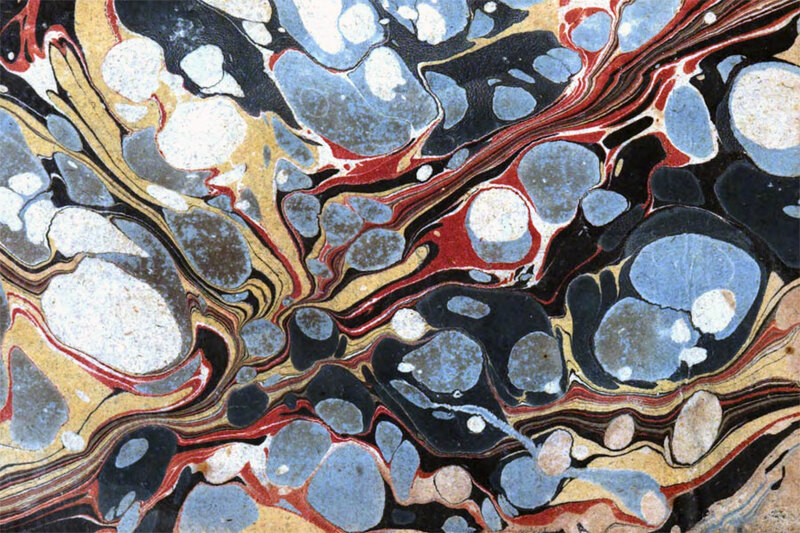 (Altona, 1763) — title here, marbled page here. I imagine abstracted young minds drifting through these arithmetical currents and eddies, more theoretical than their tiresome sums. Akin to looking into embers in the hearth; like something asleep in asphalt. In the asphalt over which he passed, his steps awakened an echo.